Switch On! Innovation Camp was arranged in Viljandi, Estonia, between September 15th and 18th, 2016. It is a part of the Finnish-Estonian Lights On! -project. The nearly 80 camp participants came from Estonia, Finland, Belgium and Turkey. Among the participants there were a total of 70 students out of which around 20 came from Humak and 50 from Viljandi Culture Academy. The cases for innovation were the eight Lights On! -project sites: Kuusisto castle ruins, Rapola hill fort, Raseborg castle ruins and Vallisaari fortress in Finland and Keila-Joa park, Lõhavere fortress, Neeruti hill fort and Varbola hill fort in Estonia. The main goal of the innovation camp was to make the participants aware of the potential of these sites and encourage them to boldly innovate new ways to improve visitor experience and tourism industry on the sites. At least one hundred new ideas! Switch On! Innovation Camp produced at least one hundred new ideas. According to Project Manager of Metsähallitus Aino von Boehm the results of the camp workshops will be used in different project activities. —Results can also bring fresh and new business ideas for local entrepreneurs and NGOs, found von Boehm. —Young people have fresh ideas and sparkle in their eyes. We are lucky if we manage to get young people excited about our sites – young people hold our future, says Lagle Heinmaa, Project Manager of Estonian State Forest Management Centre. —These ideas can be developed further in cooperation with local entrepreneurs. Camp atmosphere made the ideas flourish. —This is quite an interesting project and the biggest I have been involved in. Also the number of the partners is quite big, told Piret Eit, Lights On! Project Coordinator at Viljandi Culture Academy. 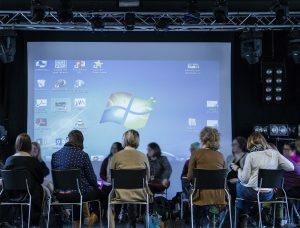 –The Project is interesting for us because in it real life is connecting with learning process, says Eit. -All our students are studying youth work. They are specialized in the ‘learning by doing’ method and I think that using that method on these sites is very important. Pietu Sepponen, 5th years student at Humak Turku campus, recommends this kind of camps for open-minded people. —I´m feeling fine and there are really nice people gathered here. I have met a lot of new people from other Humak campuses and also many new people from Estonia. The atmosphere is really nice and everybody is friendly, says Pietu. —I have visited Raasepori and Kuusisto but the other Lights On! sites weren´t familiar to me. I think I can use my camp experience in my own studies. 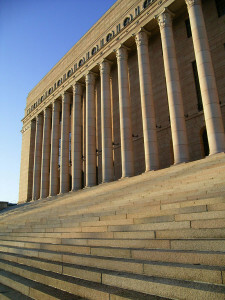 Actually next week I´m also starting the ‘Let´s innovate!’ course in Turku. So, my life is just innovations at the moment, tells Pietu. 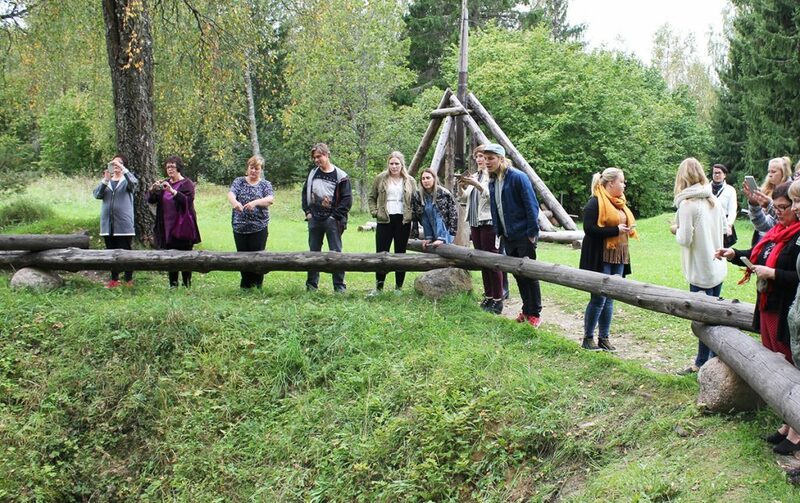 -My camp feelings are really positive, says also Maarit Niinepuu, 4th year student at Viljandi Culture Academy. —For me it´s interesting that here are both Finnish and Estonian students. At school we had a subject ‘learning by doing method’ and that´s why I´m here. -I knew only one Lights On! site before and now I know many. When a person is involved in something, she always gains something. This camp is really a new experience for me. Getting together is totally nice. -We want to take students with us because we need to have some fresh and new ideas, says Timo Parkkola, Innovation Manager at Humak. -And of course we can also get feedback for our own ideas from younger persons, maybe compare our past thinking with the future thinking of students. -Every idea is good because every idea is something you can develop further. Every idea can grow into ten more ideas. So, we can use them as platform for our thinking, too, concludes Parkkola. The Lights On! 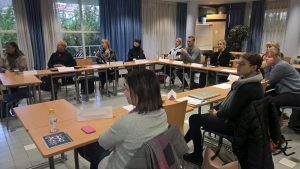 Project is executed by Metsähallitus, Humak University of Applied Sciences and Arts, University of Tartu, Viljandi Culture Academy and State Forest Management Centre in Estonia. It receives its funding from the Central Baltic Interreg 2014–2020 programme of the European Union.